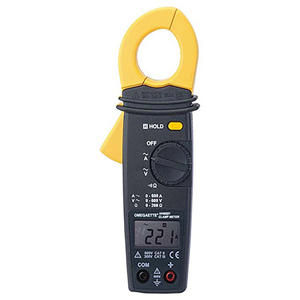 The HHM220 is a compact handheld clamp meter which measures AC current. It can measure up to 400 ACA with 0.01A resolution up to 20 amps. It also has a hold feature to capture readings for later viewing. Standard accuracy is +/- 2% RDG + 5 digits. The HHM221 is a pocket size mini clamp meter which measures AC voltage, current, resistance and continuity. It also has standard features of data hold and autoranging. It measures up to 400 ACA, 600 VAC and 200 ohms. It is a econaomical and versatile clampmeter for a wide range of applications. 참고: Comes with meter, carrying case, battery, test lead set and operators manual.